SEOUL -- American DJ Steve Aoki has participated in the creation of K-pop group MONSTA X's new album as a producer, according to the seven-member group's agency. Starship Entertainment said in a statement Tuesday that the 41-year-old DJ has produced "WE ARE HERE", the group's album to be released on February 18. 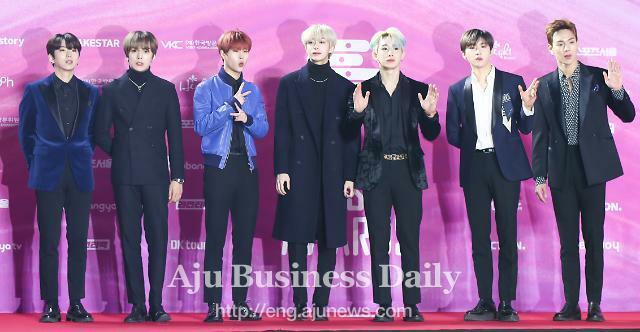 The new album will draw new musical charms from MONSTA X, the agency said, adding that Aoki had expressed his will to collaborate with MONSTA X through a media interview. 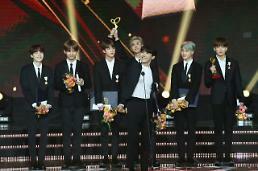 Aoki had collaborated with K-pop boy band BTS three times. 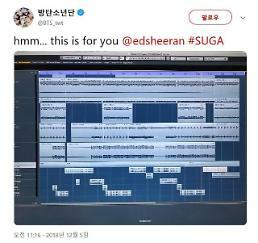 The DJ featured in BTS' songs "MIC Drop" in November 2017 and "The truth untold" in May 2018. The boys featured in Aoki's song "Waste it on me" in November last year.